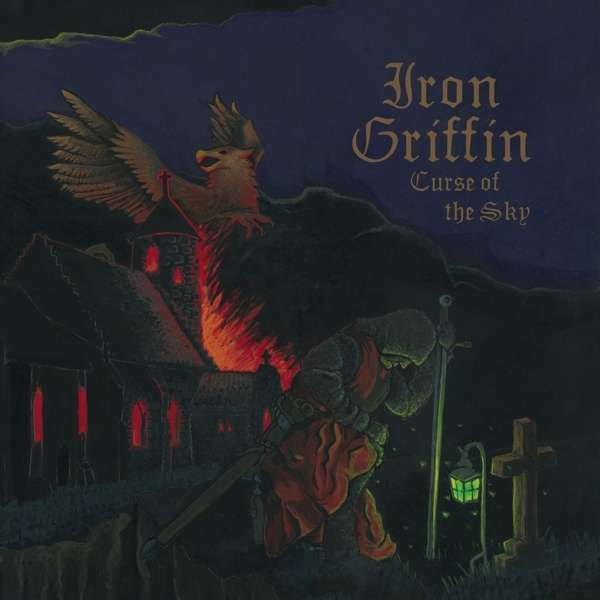 Mausoleum Gate drummer Oskari Räsänen goes on a throwback metal trip through time with first Iron Griffin LP, Curse of the Sky. Already known for his work in Mausoleum Gate, multi-instrumentalist Oskari Räsänen steps out on his own with his Iron Griffin classic metal project. The band’s first full-length Curse of the Sky finds Iron Griffin exploring the vast terrain of proto-metal with an added twist: New vocalist Maija Tiljander. Enjoying a rare break from his main band, Mausoleum Gate, multi-instrumentalist Oskari Räsänen set a goal for himself: Finish an Iron Griffin album before the end of 2018. As the months started to tick away, he decided to spend all of July locked in a rehearsal room composing and fine-tuning his new compositions. Whereas the rest of his fellow Finnish countrymen were enjoying the long days of sunshine, warm weather and the proverbial trip to the sauna, Räsänen saw nothing but four walls and the various notes he kept while composing all by himself. By the fall of 2018, Räsänen emerged with Iron Griffin’s first-ever full-length album, the seven-song Curse of the Sky, a true classic metal throwback to the time when organic sounds and climatic songwriting reigned supreme. Iron Griffin’s self-titled 2017 EP saw Räsänen joined by vocalist Toni Pentikäinen. However, his new songs needed a different approach and feel. Enter female vocalist Maija Tiljander. A gifted rock singer, Tiljander was given the task of taking Räsänen’s lyrical themes of fantasy, swords and sorcery with some medieval twists and adhering to his often weird and difficult vocal melodies. 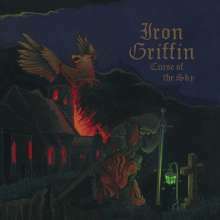 Tiljander pulled it off in the span of two days in the studio, no less, adding a new dimension to Iron Griffin’s sound on standout numbers like “Reign of Thunder” and “Lost Legion” and “Dawn of Struggle.” As Räsänen is quick to admit, the songs on Curse of the Sky were created in a vacuum. Since Iron Griffin is strictly his project and does not involve additional band members, Räsänen has to trust in his songwriting instincts. The seven songs found on the album are a combination of trial and error, with Räsänen sometimes creating a new arrangement simply on the basis of a drum improvisation or from melodies and riffs he assembled over time. In spite of his singular songwriting approach, the songs on Curse of the Sky are multi-dimensional, taking the listener on a journey through the realms of ‘70s-inspired proto metal, where Räsänen’s progressive leanings merge with his love for allegory and storytelling.